It is rare to see political parties commit suicide. The TPLF just did that. The regimes that came before the TPLF died trying to save themselves. The Derg Regime declared mixed economic policy on the verge of its collapse. The Regime of Emperor Haile Selassie established new cabinet to deal with the grievances of the people. Both failed to implement their initiatives or their measures were too little too late and couldn’t prevent their ultimate collapse. The TPLF is not even trying. 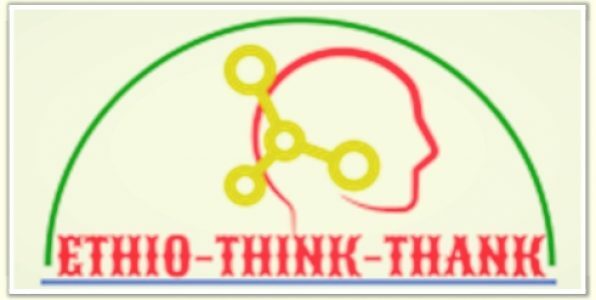 The abysmal and disastrous failure of the TPLF to come up with no new policy, transformative idea or even a new face at the helm of its leadership positions to meet the challenges of a country at crossroad after three months of marathon meeting proved that the TPLF is the 1960s organization with no vision and purpose to exist in 21st century Ethiopia. In fact, the TPLF before this meeting was way better than the TPLF that come out after this disastrous meeting mortally wounded. The only purpose the TPLF served in this meeting is unifying all the political forces in Ethiopia against itself. By this meeting, the TPLF ended any glimpse of hope and expectation that one may have that the TPLF might be part of the solution to the problem it created over the last 26 years. It proved that TPLF has no vision and mission that serves the national interests of the Ethiopian people except its failing attempt to hold onto political power through repression, violence and divide and rule. By this meeting, the TPLF proved that it has no respect for the Ethiopian people. All the people it nominated and appointed to its leadership positions are the same people who created the mess and the disastrous policies and structural problems the Ethiopian people are fighting to change. It is also important to mention the elevation of Mr. Getachew Reda, the man who called the Oromo people devils and vowed to turn the relationship between the Oromo and Amhara people into that of hay and fire. 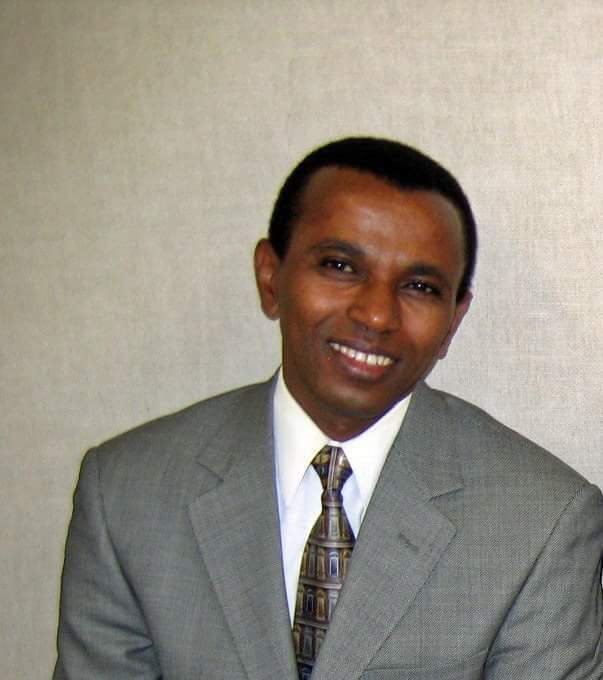 It is highly irresponsible for the TPLF to elect this man to the Executive Committee of the TPLF. It shows the disrespect TPLF has for the Amhara and Oromo people. Right now the political spaces in Ethiopia are dominated by three political forces. The TPLF by failing to heed to any of the three groups unified each and every one of them against itself. The first and the most important political actor and political force that presently occupied the top tier of the political movement in Ethiopia are the Ethiopian people. The Ethiopian people, led by the Oromo Protests, are mobilized to restore back political power into the hands of the Ethiopian people from groups like TPLF and individual dictatorship based politics of the 20th century. The Ethiopian people want to own and lead their country by exercising full and unhindered political power by eliminating group and individual dictatorship. The end goal and objectives of the current political movement of the Ethiopian people are to establish the government of the people by the people from the people under the rule of law where justice, equality, and fairness are the rule, not the exception. The TPLF is the primary enemy of this agenda of the Ethiopian people to restore political power back into the hands of the Ethiopian people. TPLF is struggling to continue its agenda of a group and individual dictatorship to control the Ethiopian political, economic and security space by its members and few strong personality against the will of the Ethiopian people. The outcome of the TPLF meeting will put the TPLF in a direct collision course with the Ethiopian people’s agenda and unify all the Ethiopian people against the TPLF. There is no ifs and buts here. TPLF is the obvious loser of this political war between the TPLF and the Ethiopian people. The recent meeting of the TPLF and its decision to keep the status quo simply delimits the political battle lines between the TPLF and the Ethiopian as black and white with no ambiguity. The second political forces that presently occupied the Ethiopian political space is the political struggle by member parties of the EPRDF to liberate themselves from the TPLF dictatorship. All member parties of the EPRDF are struggling to liberate themselves from the slave and master like relationship between the TPLF and the other three groups: namely the OPDO, the ANDM and the SEPDM. TPLF has no friends here except opportunists. All three of these parties want some form of liberation from the TPLF repressive, violent and divide and rule policies. All these parties want the EPRDF either to be democratized where TPLF will become the junior partner of all the three but the EPRDF survives. Absent this change, it is very likely that the OPDO, the ANDM, and the SEPDM will form a unified front and vote the TPLF out of office or end up dismantling the EPRDF where each group will go its own way for self-preservation. None of the options will keep the TPLF in dominant positions. In the last 26 years, with less than 6% population base, the TPLF controlled full political, economic and security power with undisputed and uncontested veto power on everything and anything over these satellite parties, who don’t want to remain satellites anymore, who theoretically represents the rest of the Ethiopian people. None of the EPRDF members want that status quo to continue. The OPDO and the ANDM are already at the forefront of this power struggle, with the SEPDM not that far behind. With the fierce and popular wave of resistance behind them, it is more than likely that the three members of the EPRDF will liberate themselves and their members from TPLF medieval and most brute rule or end up dismantling the EPRDF. All the TPLF is left to do is to try to buy some members of these political parties with money and false political positions, a method the TPLF used well in the past but now completely unthinkable in the face of the fierce popular opposition and resistance against such parasitic and scavenger members which will cost them their life. The third political force that the TPLF unified against itself is the Ethiopian political opposition of all shreds. Thanks to the TPLF repression, machination, and sabotage, the Ethiopian political oppositions are poorly organized with no clearly defined political vision for the country. Yet, even here, the TPLF has little allies with whom it could make backdoor deals. Even if the TPLF attempts to deal with some urban-based political opposition groups for face-saving as the failed so-called “opposition groups meeting of over the last one year”, they have no popular support to wield to the save the TPLF. That will lead even the weakest and opportunist Ethiopian oppositions to be unified and resist the TPLF. The TPLF may attempt to use the following six self-defeating strategies to outmaneuver all of the three political forces it lined up against itself. Using the Ethiopian military, the national security and the law enforcement. Over the last 26 years, the TPLF used and abused these three government institutions against the Ethiopian people, the EPRDF members who resented its rule and the Ethiopian oppositions. It may try to use these three entities again. But, the time has changed. Ethiopian people have said enough is enough. Any further attempt to use the Ethiopian military, the Ethiopian intelligence and law enforcement institutions including courts for further killing, torture, and repression will completely dismantle these institutions. The reason is simple. Every other Ethiopian working in these institutions will pull back and side with the Ethiopian people. The division within the EPRDF will not take any time to manifest in the division within the military, the national intelligence, and the law enforcement institutions. The TPLF dominated chain of command in these institutions have no power to prevent this from happening. The signs are abundant already that Oromo and Amhara military, security and law enforcement officers are resisting TPLF commanders and officials. If the TPLF intends to continue this deadly routes of using these three institutions to hold onto power and repress others, it is more than likely that these institutions will be dismantled in a very short time. 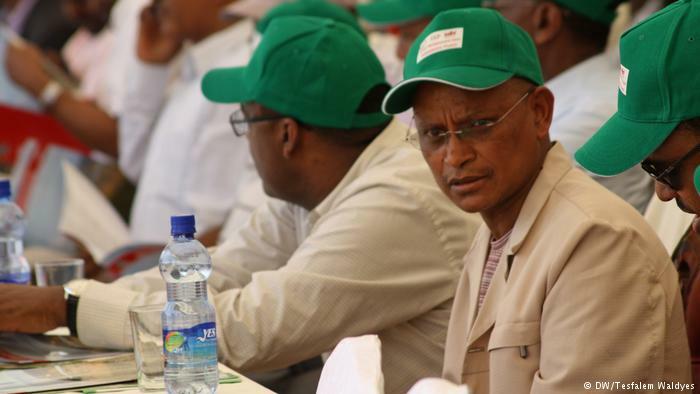 Rebuilding TPLF and EPLF alliance to counter Oromo-Amhara Rapprochement. This tactical strategy to counter the Oromo-Amhara rapprochement by building what the TPLF calls the “Union of the Agazians” if the EPLF fails for it, could potentially help the TPLF in one of the following ways. 1) It will help the TPLF by easing the tension with the EPLF at a time when most Ethiopians may not aid the TPLF if a conflict arises between the two groups. 2) The TPLF might try to package this tribal alliance between two Tigrigna speaking groups for dubious purpose as a peace effort and the effort to normalize relations between Eritrea and Ethiopia by implementing the Algiers agreement to win the support of the West. 3) It may also help Eritrea in getting the territories it lost in war, including Bademe, if the EPLF subscribes to the TPLF political power gamble in Ethiopia. 4) Last but not least the strategy may also help the TPLF to mobilize its security and intelligence resources to Oromia and Amhara to attack and cause more harm than it is causing now. Unfortunately, this strategy is self-defeating for at least couple of reasons. One, the TPLF strategy to find alliance with Eritreans to attack other Ethiopians will not find national support in Ethiopia. Second, Eritreans will not be played again by the TPLF after the bitter 1998-2000 war and the strategic blunder and lose it sustained at the end of the country’s civil war in 1991 which lead to the emergence of the TPLF as a dominant force in the region. Third, the chance of TPLF staying in power in Ethiopia is hugely diminished after the Oromo protests and Amhara resistance making any deal the Eritrean side might reach with the TPLF unsustainable and with no future. Fourth, any territorial transfer to Eritrea in the name of implementing the Algiers agreement will cause popular fury and fire that will consolidate the popular movement against the TPLF and ultimately deposing it from power. Consolidating the Somali Janjaweed Militias attack on the Oromo and creating more Janjaweed style Militias everywhere else. This is one of the most disastrous policy the TPLF chose in order to maintain its divide and rule policy to stay in power in Addis Ababa. Here, the TPLF is assuming that the TPLF will always be the ultimate power broker while everybody else is a weapon of war in the hand of the TPLF waiting to be used anytime the TPLF wants to use it. Over the last two to three years, the Somali Janjaweed Militia served the interests of the TPLF very well. The criminal militia that now stands at over 68,000 thousand according to multiple internal sources, displaced over 600,000 Oromo civilians inside Oromia and evicted over 70,000 Oromo civilians from the Somali Region using TPLF adopted ethnic cleansing models copied for Darfur. Still, the Somali Janjaweed Militia continued to attack the Oromo people at the direction and pleasure of the TPLF commanders in order to divert the people’s attention from the TPLF crimes at the center. This policy appears to have run its course now. Poor Oromo and Somali militias will not continue to kill each other to serve the interests of the TPLF over the land and territory each group knows will be restored back in the hand of the Oromo people once the TPLF is removed from power. Instead, it is very likely that both the Oromo and the Somali groups will soon return back to attacking the economic and security interests of the TPLF which will effectively end any meaningful presence of the TPLF either in Oromia, Somali or other Regions of Ethiopia where such strategies will be attempted. This self-defeating strategy of the TPLF to incite violence among various ethnic groups everywhere else will soon fire back by producing nationwide hatred and attack on anyone affiliated with the TPLF including attacks on the economic interests of the TPLF, the Ethiopian military, the federal police and intelligence officers who are being used by malicious TPLF commanders and political leaders. It is also very unlikely that the West will continue to finance and support such criminal enterprise. If the TPLF continue this avenue, it is likely that the Ethiopian military will collapse and the federal government is likely to disintegrate within a very short period of time. Increasing the Urban-Rural Divide: This is one of the strategies of the TPLF is using to contain the ongoing popular movement to take power from the TPFL and restore back into the hands of the Ethiopian people. Except for few cities in Oromia and Amhara regions, most cities in Ethiopia were passive over the last three years of the Oromo protests and the Amhara resistance. The TPLF want the situation to continue that way. It believes it is the dividend and the pay off of the TPLF silo economy dominated by TPLF affiliated local and international benefactors in urban areas by transferring land and natural resources of the Ethiopian people to these TPLF affiliated groups. The Addis Ababa Masterplan and the recently tabled National Urban Planning Proclamation (the Addis Ababa Masterplan in a different name) is meant to play the urban-rural divide to contain the popular movement. This is another self-defeating strategy for a number of reasons. One, noticing the so-called Urban and rural divide as a divide between the TPLF affiliated economic monopolies in the cities and the surrounding Ethiopian poor is very easy. The TPLF silo economy only benefited very few urban dwellers at the expense of the impoverished millions. Every interest group in the urban area including small businesses, civil servants, the youth and the political class will soon turn up the heat on the TPLF. Second, every urban dweller has relatives in the rural Ethiopia and shares the suffering of the rest of the Ethiopian people. Third, as the resistance in the rural areas mounts, the life in the urban areas will collapse and the urban dwellers will join the Ethiopian people to preserve themselves. Fourth, the division within the EPRDF will soon trickle down to the ranks and files of the EPRDF which will soon transfer itself to urban movement. Fifth, the large student population in urban areas will soon build bridges with the urban dwellers to join the popular movement. Faking Individual liberties narratives at the expense of group rights narratives: The TPLF ruled through fake group rights narratives for the last 26 years. It used the Oromo and Southern elites in the name of group rights narratives against the urban-based Amharic speaking elites who mostly were against group rights narratives. After the Oromo and Amhara people started asserting their group rights through the Oromo protests and the Amhara resistance, the TPLF now changed tactic by buying into the urban Amharic speaking elite’s narratives of individual rights and liberties narratives. It might even establish fake individual rights based political party. Theoretically, there is no difference between individual rights and groups rights. These are not mutually exclusive rights. They are mutual complementary rights. One does not exist without the other. But, the TPLF might attempt to venture into this route to buy time and continue its policy of divide and rule if it finds shortsighted urban Amharic speaking elites who will fail for this. Unfortunately, the Ethiopian people are not demanding for the selective implementation of this right or that right. The people are demanding for the transfer of political power into the hands of the people to establish a government of the people by the people for the people where equality, justice and fairness reigns. No group or individual rights will be respected and protected unless the political power is restored back in the hand of the Ethiopian people. Even the dullest of political groups in the country are taking note of this fact and understanding the essence of the Ethiopian peoples’ demand. That leaves no room for the TPLF to manipulate and maneuver. Expanding the EPRDF to dilute the resistance of EPRDF members against the TPLF. The TPLF might attempt to expand the membership in the EPRDF if the resistance from the OPDO, the ANDM, and SEPDM increases. At face value, this might seem a plausible option. One might think TPLF can add the Somali Janjaweed Militia and other groups as EPRDF members to dilute the power balance in its favor within the EPRDF. There are many reasons why this strategy will not work. One, if the TPLF touches the current structure of EPRDF, it is very likely that all the three members of the EPRDF(the OPDO, the ANDM, and the SEPDM) will demand population size based representation within the EPRDF the same way it is in the parliament. If that scenario happens, there is no option out there that will save the TPLF from its minority position. More than 85% of the political power will be in the orbit of other members of the EPRDF. Furthermore, it is very unlikely any ethnic minority group will choose to ally itself with the TPLF against any Amhara and Oromo groups which will hurt them down the line when the TPLF will be removed from power. Therefore, the TPLF suicidal decision not to reform let alone to transform and adopt new policies, structures and strategies to meet and address the demands of the Ethiopian people will strengthen the popular movement and resistance of the Ethiopian people to take political power and permanently end group and individual dictatorship in Ethiopia. “አክቲቪስት” ማነው? ጠቀመን ወይስ ጎዳን?